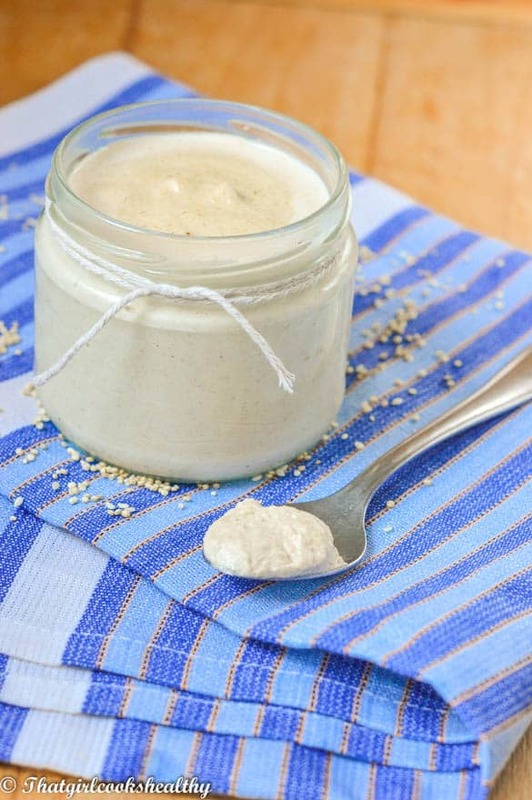 Homemade tahini recipe – Learn how to make this sesame seed based paste using only two commonly used culinary ingredients. Tahini oh where art thou tahini, okay I will stop being so flippant now. On a serious note, I’ve been really appreciating some middle eastern delicacies right now. My previous recipe being falafel accompanied with a delicate homemade tahini dressing. I try to explain my recipes in the most simplest format possible as I know how daunting cooking can be for a beginner. While I don’t proclaim to be a five star michelin chef I wouldn’t describe myself as an amateur either. With each recipe I try to retain the homeliness as much as possible by creating most of the ingredients that are called for from scratch. Tahini is slowly making its way on many global shores including the UK – there used to be a time where selective ethnic food weren’t featured in the commercial supermarkets like Tesco, Asda, Sainsbury’s etc.. but now things have changed so drastically to the point where I’ve seen Caribbean vegetables in Asda and Co-op. This is particularly great news for minorities who live in towns with a lack of diversity. Enough of my shock discovery, so what’s the deal with tahini, you may ask? Well first of all tahini is the middle east’s answer to peanut butter. Many middle eastern countries embrace tahini as a part of their dietary staple. 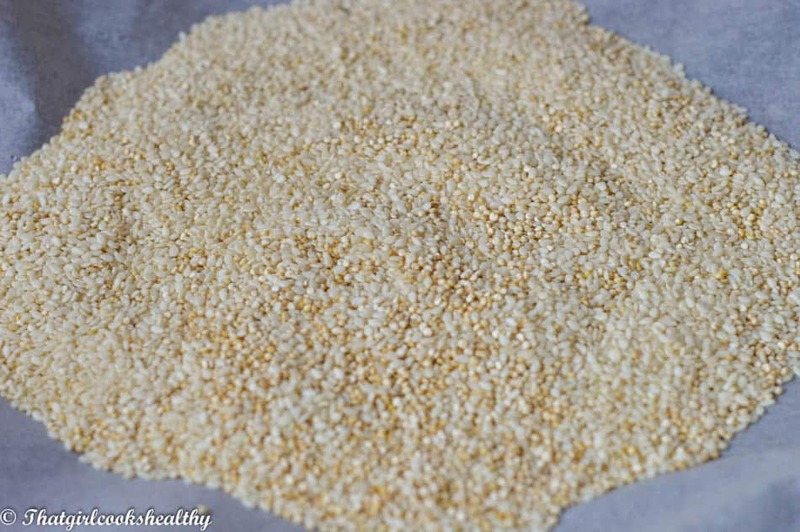 In short tahini is simply ground sesame seeds – unhulled or hulled seeds can be used, however unhulled seeds has a tendency to be bitter despite being richer in nutritional content. Hulled seeds impart a more pleasing taste, believe me I have tested both versions and prefer using hulled seeds for taste alone. 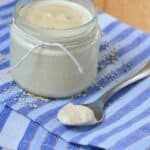 A couple of tips for making tahini – firstly, I highly recommend using hulled seeds – unless you don’t mind the strong bitter taste and seek a higher nutritional content then use unhulled. Roasted the sesame seeds for roughly five minutes, roasting helps to release the nature oils and lends a richer flavour, similar to roasting peanuts. Also, add a dash of oil when grinding, unless you have a stone grinder or don’t mind processing the seeds for anything up to 20 minutes. The whole concept incorporating oil is because it acts as a lubricate, creating an extra smooth paste. Preheat oven at 400 degrees or gas mark 5. Line a baking tray with parchment paper and evenly distribute the sesame seeds. Toast the seeds for 5-7 minutes or until very slightly brown. Once the sesame seeds are toasted, set aside to cool down. 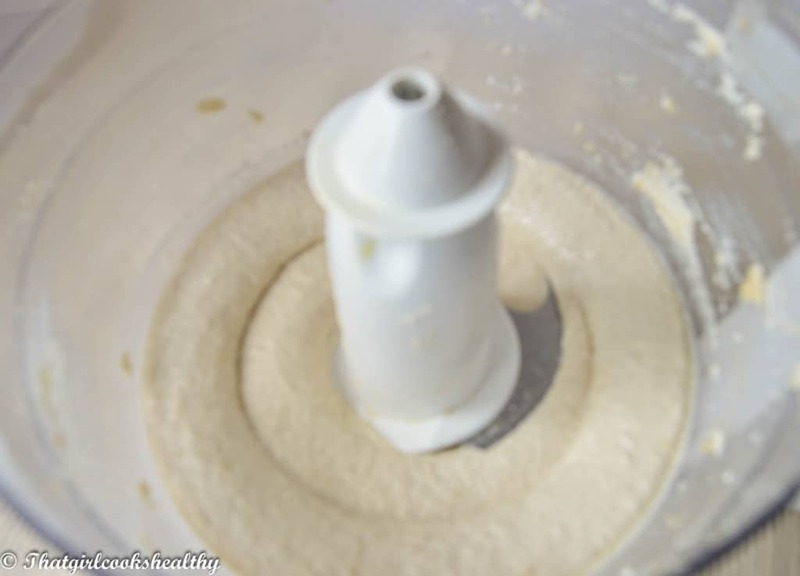 Transfer the seeds to the food processor and begin to pulse at high speed. At this point you can begin to slowly pour in the olive oil. Continue to process until a smooth texture forms (or similar). Store in airtight container and retain in the refrigerator for several months,. Use hulled seeds to omit strong bitter taste. Can store in the refrigerator for several months. Consistency of tahini paste may very from extra creamy or gritty depending on the length of processing time and amount of olive oil used.